Obsidian Architecture | Bend, central Oregon architect - Architect John Lautner's "Chemosphere" and "Mar Brisas"
Architect John Lautner's "Chemosphere" and "Mar Brisas"
Here are two more significant homes by architect John Lautner that are worth looking at. One is an architectural icon from the first half of his career and the other is monument from the second. Faced with a steep site that was widely regarded as unbuildable, John Lautner's solution appears both simple and obvious. Instead of designing a typical home on a concrete stemwall, Lautner devised an octagonal, single-story plan set atop a thirty-foot-high concrete stem. The house is reached from the street below either by foot path or by a funicular that travels the 45 degree hillside. Though it appears small in photos, the single story home encapsulates 2,200 square feet of living space - including four bedrooms. The nickname "Chemosphere" comes from the use of experimental coatings on the house provided by a company called Chem Seal. Lautner originally intended to name the house "Chapiteau." Model Sasha Grey at the Chemosphere by Richard Phillips. Because it was built in the sixties during the golden age of NASA, the home earned another nickname: "the flying saucer house." While that moniker has remained informal, the home has continued to make appearances in pop-culture. It first turned up in a 1964 episode of the ABC TV-program The Outer Limits with exteriors shot on location and interiors filmed on a set replicated in a studio. The home was used again in the 1980 movie BODY DOUBLE and features prominently in several shots. In TV's The Simpsons, the character of Troy McClure resides in a home directly inspired by the Chemosphere. The house was featured in the 1984 movie Body Double. For the 2000 film CHARLIE'S ANGELS, the home was intended to be used as a location for several scenes and was visited by producers early on in the production. However, it was decided that filming on location at the home would ultimately be too difficult, so a set (inspired by the Chemosphere) was built instead. Sam Rockwell and Drew Barrymore in a deleted scene from CHARLIE'S ANGELS - FULL THROTTLE. A safe haven from the zombie apocalypse? One of John Lautner's greatest projects came in the latter half of his career and outside of the United States in Acapulco, Mexcio. Jeronimo Arango, a Mexican supermarket mogul, had seen published articles about the Lautner's Elrod House and endeavored to hire Lautner as his architect and Arthur Elrod as his interior designer. I haven't found any conclusive evidence of whether or not Elrod was actually hired, but Lautner most definitely was. Intended as a weekend home for his family, Arango stipulated that the home design maintain the hillside site's sweeping views over the bay of Acapulco. Lautner responded with a two-story concrete structure that captured 25,000 sq. ft. of living area - much of which opens directly to the outdoors. The lower story contains bedrooms, exterior patios, and a swimming pool. The upper floor is the main living/entertaining area. The rooms blend seamlessly into the adjacent outdoor patios and a six-foot wide swimmable channel traces their cantilevered outside edge. This channel not only prevents insects from crawling into the living area, but it also eliminates the need for a guardrail. The infinity pool edge further blurs the boundary between home and landscape (or pool & ocean or water & sky). An enormous, semi-circular poured concrete shade gracefully sweeps over the terrace and angles back toward the hillside. 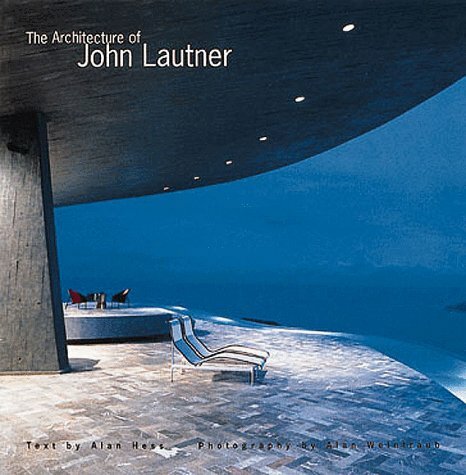 It has been said that with Casa Arango, Lautner's use of concrete realized its full sculptural quality. His other notable large home of the decade, the Hope Residence, suffered from budget limitations. Because of this, its intended monumental concrete shell was changed to a steel structure overlaid with wood sheathing and cementitious plaster. With Mar Brisas, the opposite occurred. Originally intended to have a steel-framed structure to shade the upper patio, Lautner changed the design to poured concrete. This effectively meant that the entire house - including the floor structures, roof, and supports - was made of concrete. A 3D model based on the Arango House. Construction on Casa Arango took less than a year and it would be Lautner’s only built project in Mexico. 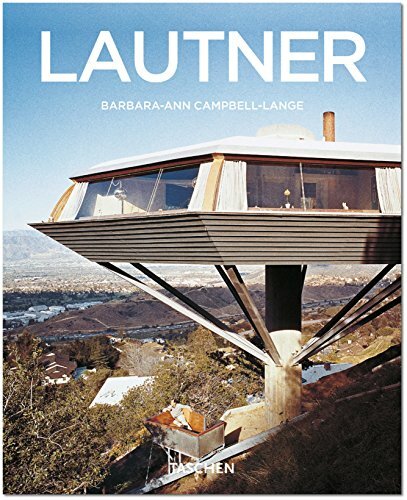 Shortly before his death in 1994, the Arangos commissioned Lautner to design another home - this time in southern California. 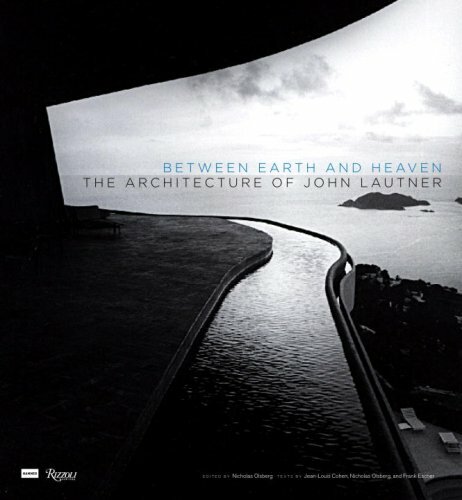 However, with Lautner's passing, that project never went beyond schematic design. The Arango family still owns and uses "Mar Brisas" as a private residence - which probably explains the lack of media (like youtube videos) about it. Never-the-less, it has impacted popular culture. Though it was not actually used in the popular Iron Man movies, it (as well as the Elrod House and Silvertop) directly influenced the design of Tony Stark's fictional home. A fan-created virtual model of Tony Stark's home from the Iron Man movies.